The REACH projects aim is to deliver the hopes of the P.U.L. community, helping them to understand their history and culture. To educate both the young and the elderly so it helps our people to move onto a peaceful and brighter future for all of the people of Northern Ireland. To deliver a single identity program based around renewing, engaging and advancing community hopes in the Newtownards Road/Ballymacarrett area using history and culture. To engage, educate and inform the parents, helping them understand their history and culture. 2. To engage, educate and inform the young people, helping them to understand their history and culture. Dr Kyle has served the East Belfast community as a General Practiconer after graduating from Queens University Belfast and since 1993 he has been based at Holywood Arches Medical Centre. He is also a local councillor, involved with the Oasis Centre, East Belfast Community Health Information Project and the East Belfast Partnership. John is a family man with 5 children and a strong Christian commitment to serving his community. 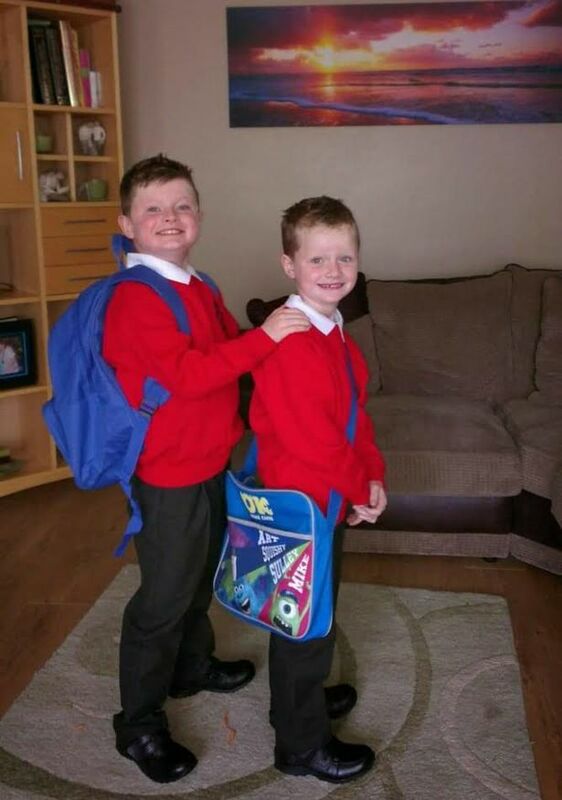 Dad Gary, 53, told Belfast Live: “We found out he had it back in 2009. Adam kept falling over. So we took him to the hospital, they ran a lot of tests and they came back with long faces. They told us he’d Duchenne Muscular Dystrophy. We said, ‘OK, well how do we deal with that?’. It is with the utmost sadness REACH mark the passing of their esteemed friend Dr Ian Adamson. An incredible human being who dedicated his life to his community, serving as a Paediatrician he served those children most in need. As an elected politician he represented all without fear or favour, also serving as Lord Mayor, Deputy Lord Mayor and High Sheriff of Belfast. Working behind the scenes he was instrumental in promoting peace in our society by engaging with individuals across the divide regardless of their background, a work he continued right until the end. His sense of a common identity for all of Ulster’s people was perhaps 30 tears ahead of his time. A lover of native language, literature and culture be it Pritani, Cruithin, Ulster Gaelic or Ulster Scots / Ullans he showed how culture can be enjoyed and celebrated by all in an inclusive non-threatening way and never used as a political weapon. His final completed book, perhaps the oldest written Ulster story – ” A Journey To The Immortal Isles, The Voyage of Bran” being launched throughout working class unionist communities only a few months ago. All the committee and members of Dalaradia wish to pay their thanks and respect to our valued friend and colleague. The Loyalist Communities Council would also wish to pay their thanks and respect to our friend. Gareth Mulvenna – Researcher & Author on Good Morning Ulster this morning discussing the Tartan gangs, the Red Hand Commando and his & Beano Niblocks event “Belts and Boots to Bombs and Bullets” in the Ballymac Friendship Centre tonight at 19:00. One of the big misunderstandings about Northern Ireland’s connection with the rest of the UK comes from the conviction that fundamentalist unionist politics will preserve this relationship. Such a politics, because of little appreciation for the value for compromise, relies almost entirely on perpetuating a fear of republicanism to keep itself in place. And a similar tendency can be found in republicanism, which relies on the continuation of fundamentalist unionism to maintain its own support base. Sinn Fein’s public utterances about trying to ensure Ian Paisley MP was not re-elected recently were more designed to make sure that he was re-elected, rather than not. But the biggest threat to republicanism and the best way to build a stronger and inclusive Union is through moderate unionism. For both the DUP and Sinn Fein, it is moderate politics that is most feared, but which a progressive Northern Ireland needs most of all. Fundamentalist unionist politics, as epitomised by the DUP, is, if not already dead, then dying. It has nothing to offer Northern Ireland beyond the myth that it is keeping Sinn Fein at bay. It displays no creativity and a resistance to pragmatism, which destabilises the rigid image of certainty that the party relies on. Though there are individuals in the DUP who conduct good community work, this is not enough to sustain the party over the long-term and the complete absence of ideas or strategy about how to appeal beyond its own immediate self-interests will inevitably fail those it supposedly represents. The first stage of ossification is already evident and the second stage of withering and rot is becoming harder to deny. There will be a lot more fear politics to come as the party looks increasingly outdated and scrambles to try and prevent its own demise, and Sinn Fein will do what it can to keep that fundamentalism alive to help ensure its own presence and purpose. But, ultimately, unless and until there is a dramatic change in its ethos and approach, the DUP’s game is up. It is understandable why a unionist/loyalist electorate that existed through the conflict would vote for the DUP. But, as a younger audience with no lived experience of the conflict starts to influence voting patterns more and more, so conflict-related rhetoric is less likely to gain traction. The best way to address this predicament is to accept that moderate unionism is the only realistic way out of the decline, but to do so it must promote and reflect the core values of inclusive Britishness and not just offer a softer version of the DUP. Those values relate to democracy, the rule of law, liberty of the individual and the tolerance of religious and cultural difference and collectively they constitute a sufficient consensus to keep the relationship between social responsibility and individual possibility intact. Though the climate of Brexit has brought into focus two oppositional types of anger that compete to influence the shape of a Brexit outcome, it has not been suggested that the core values of Britishness should be jettisoned as part of this dispute. Indeed, the two forms of anger could be seen as a struggle to try and re-engage with Britishness and understand its role and meaning in the modern world. As Brexit dominates the political scene and the DUP strives to keep Northern Ireland’s linkage with the UK as tight as possible, this linkage does not extend to accepting other aspects of Britishness which show greater concern for more individualised forms of identity. Yes, the DUP argument for Brexit is about a national identity, but it has no means by which to conceptualise or articulate a wider sense of Britishness. Nor is it able to grasp what the American political scientist Francis Fukuyama recently described as the change from “identity to identities” that is now reshaping the political climate, or how meanings of self and society are being expressed because of this growing diversity. Rather, what the DUP is drawing from in its response to Brexit is what it has always relied on: holding the line and resisting and maintaining a strongly fixed position. And what Sinn Fein is doing in response is recycling a transferable message about the value of a single, agreed, multi-cultural, or other Ireland, where the dogged reach for Irish unity comes with a welcoming face. If Northern Ireland is in “post-conflict” mode, there is little evidence of a post-conflict politics to reflect this new phase. The peace process initiated a process of compromise politics, which was then superseded by non-compromise politics, moving from a politics of tolerance to a politics of intolerance. The problem with this regression is that although, at a surface level, it may offer a degree of security, it also means the inability to move beyond very strict limits, since to do so risks undermining the very security being defended. But since security in this instance depends on stasis, so there is no transformation built into the outlook. Furthermore, there is no dynamic, no optimism and no possibility of modernisation. That is why such a politics has no future and is ultimately doomed to fail. Intransigence on the basis of resistance to and intolerance of difference creates a problem for Britishness which espouses the need to hold individual liberty and respect for others in some kind of balance. At a political level in Northern Ireland, there is next to no reaching out to those who find themselves not part of the single political and national identity being advanced on either side of the divide. Fundamentalist unionist politics has no means to expand its popular support because it cannot reach out to those not of its tradition. And, although Sinn Fein’s republicanism may come across as more respectful in approach, it too is similarly contained and driven by the need to keep the DUP tied to its fundamentalist ethos and rigid positions. But what good is this politics for a modern democracy that has supposedly exited from the terrible years of conflict? As the absence of an Executive for nearly two years demonstrates, dominant politics in Northern Ireland has failed and, indeed, can only fail because there is no mechanism by which to bridge the opposing forces of republican and unionist fundamentalism. Each now functions as an island separated by a sea of perpetual loathing and mistrust. That said, and in the absence of a dominant moderate unionism, there is a mechanism by which to circumvent the impasse aside from handing power to the remaining political parties who do want an Executive to work and that is the civic forum that was legislated for in the Good Friday Agreement and which functioned for a short time after the Agreement’s implementation. We are told that the forum was unworkable, because it was too cumbersome and was not supported by the dominant parties, which, at that time, believed it to be an imposition and a hindrance to the conduct of daily politics. The reality was probably different and that the forum was suspended because it either risked increasing expectations of accountability, or it was manipulated to be little more than an extension of dominant positions. But the value of a forum is surely more important now than it was at the time of Good Friday Agreement? Properly managed and broadly representative in its diversity, a forum could help reactivate a new optimism and create new possibilities to reshape expectations about party politics that remains so obsessed about the past it offers nothing for the future. Taking into account the different identities and political ambitions in Northern Ireland, the forum should, nevertheless, reflect the core values of Britishness. It should seek to advocate democracy not as a finite entity, but as a process that facilitates new political relationships and elicits fresh political thinking. It should work to build further cross-community respect for the rule of law and policing. It should strive to try to make Northern Ireland a place where individual aspiration and opportunity become a reality and it should advance compromise and pragmatism in relation to public policy and political difference. In effect, the forum should be more than a talking shop. It should monitor political responsibility and accountability and act as a think-tank to help deal with divisive issues and points of contention detrimental to the development and progress of Northern Ireland as a whole. On that basis, its role and function should be expanded to become a new force for a common good, devising ideas and responses to problems that the dominating parties seem unwilling to make, or unable to contemplate. As such, it can become a mechanism for compromise, influencing a more constructive approach to political relationships as a result. In the absence of a dominant moderate politics, a civic forum offers an opportunity to help advocate such moderation and, in the process, expose the damaging limitations of the fundamentalist outlook that now endures. Given the advantages this could bring for stability, confidence and progress, Northern Ireland surely deserves no less. Yesterday evening in conjunction with Dalaradia our group welcomed Ulster Scot historian and writer Dr. David Hume. A former member of a Ministerial Advisory Group on Ulster Scots, he is a former journalist and senior administrator with a large cultural organisation. David was awarded a PhD in 1994 from the University of Ulster in Jordanstown. David told the intriguing story of the Ulster Scots from ancient times, through migrations, battle and siege, the Plantation of Ulster, the 18th century, the emigration of thousands to America, and the radicalism which underpins the Ulster Scots as a community. He also looks at the present position of the cultural community which defines itself as Ulster Scots and where it is going in the future. A very enjoyable discussion and insight into Ulster Scots. First up was the presentation of Ulster Scots translations in both electronic / PDF format and framed posters for the offices of Cara Friend , A series of framed posters relating to bullying, suicide awareness, safe school space and the youth work provided by Cara Friend were presented to members of Cara Friend by the renowned author , historian, past MLA , Doctor Ian Adamson OBE, we are very grateful for the translation of the literature into Ulster Scots which Dr Adamson kindly carried out for us via his Pretani Associates community initiative . Cara Friend provides a unique youth service in N.Ireland which supports LGBT young people through one to one support sessions and the provision of safe-space groups. They have over 500 service users with more than 1000 people in receipt of training. Secondly , to mark the date, Ulster Day , Reach UK launched its inaugural Lifetime Achievement award which will now take place on September 28th each year , the first recipient was Belfast Councillor Jeffrey Dudgeon MBE, a member of NIGRA since 1975, with a background in the Department of Health , Jeffrey won a 1981 landmark case in the European Court of Human Rights which decriminalised homosexual behaviour. This case also set a president in the USA . 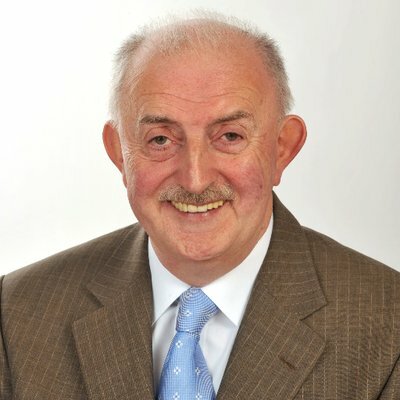 He is a Unionist Councillor for Balmoral area where he represents all members of the community without fear or favour. A copy of his book on Montgomery Hyde , the Unionist gay rights reformer in the 1950s was presented to the members of Cara Friend . Reach Chairman Jim Wilson presented Jeffrey with a cut glass trophy award inscribed “ for a lifetimes outstanding achievement , promoting the rights of all “ . Jim also highlighted the work of the PUL community through the years in the promotion of rights and a proud arts and cultural tradition we can all be proud of . It was with sadness that , as referenced by Finola Meredith in her Belfast Telegraph article , a group of Nationalist , Republican and neutral(?) Councillors in Belfast City Hall prepare to celebrate the LGBT community in the form of a stain glass window, that , perhaps the greatest champion of the LGBT community, Jeffrey Dudgeon MBE has been deliberately and cruelly excluded and written out of history by those protesting the most about discrimination and inequality , this simply because he is a Protestant and Unionist , the PUP Councillor Julie Ann Corr-Johnston also is excluded because of her religion — shame , shame, shame . 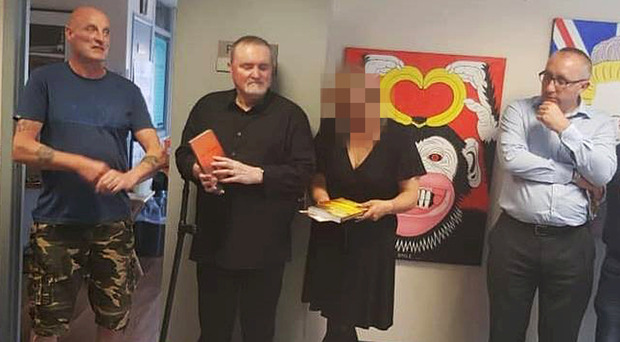 It is understandable that the exhibition by loyalist ex-prisoner Michael Stone should provoke critical comment – especially so in the light of his own attendance at the event and the presence of local community leaders. It is certainly the case that deep hurt is still felt by relatives and friends of those who suffered at his hands. However, in a society such as ours, where the release and rehabilitation of ex-prisoners was part of the agreement that brought an end to daily violence, the moral issues are not clear cut. Ours is a society in which political ex-prisoners, some with a ‘casualty list’ from their own pre-gaol days, have occupied key roles in local government. They have done more than make art. They have made decisions about our economy, our education and our health. There is certainly a wide-ranging debate to be had about the manner in which an exhibition such as this should be undertaken – the venue, the publicity (or lack thereof), those invited along and the artistic themes and tone of the artefacts that go on display. There is also a debate to be undertaken about whether Stone’s violation of the terms of his original release debars him from further generosity. It is a debate that must take into account how, during the Troubles, republican and loyalist combatants sometimes reoffended upon release. This did not prevent the eventual terms of prisoner release, subsequent to the Good Friday Agreement, from applying to them. I have not seen the exhibition, nor do I know Michael Stone, though I am acquainted with those who do. However, I am aware that there is a deficit of art, whether visual, literary, musical or dramatic, to offer a view from within the loyalist ex-combatant community of who they were as individuals, what they were collectively, what they did, why they did it and what it means to them now. At this stage, one thing needs said, however. I am not promulgating the old myth about ‘Protestants not being interested in the arts’. East Belfast, to name just one relevant district, was and is the birthplace of an array of literary talent coming from ‘a Protestant background’, including dramatists such as Stacey Gregg and Rosemary Jenkinson and novelists like David Park, Lucy Caldwell and Glen Patterson. And Conall Parr’s recent book on Ulster Protestant culture, Shaping the Myth, has cast new light on an array of Protestant working-class talent from the past, such as Sam Thompson and Thomas Carnduff. However, the current loyalist community has offered relatively few recent voices that speak out of – and critique – their own experiences. And there are few visual artists to embody the diverse forms which the loyalist imagination might take. That is why all opportunities to nurture artistic expression coming from within a loyalist context are to be welcomed. The art of another loyalist ex-prisoner, Geordie Morrow, is a case in point, as is the drama and prose of Robert Niblock. Among Niblock’s plays there is a dynamic play called Tartan, which deals with the gang culture of the early 1970s, which overlapped with the rise of paramilitarism. His poetry explores the Protestant working-class boyhoods of east Belfast just as the Troubles were beginning to brew. Then there is the powerful theatre work of Gary Mitchell, with his Rathcoole background and more recently David Ireland, with his origins in working class Ballybeen. I am not denying that some individual may buy one of Michael Stone’s works merely as a collector of loyalist memorabilia, or indeed out of misplaced relish for the violence of the past. The true value of this exhibition is not to be found in those responses but in the licence it might just give some young loyalists to ponder the meaning of the word ‘artist’ and the insight Stone’s art should give all of us others into one particular loyalist’s imagination. Art has done that kind of thing in challenging circumstances down through the ages and will continue to do so all across the world. A southern Protestant who always wondered why he felt like “an outsider” says he has discovered a virtually unknown of exodus of 40,000 Protestants who fled the south from 1920-23 due to sectarian intimidation and murder. Robin Bury, the son of a Co Cork Church of Ireland cleric, studied history at Trinity College Dublin and worked as a history teacher and later with the Irish export board. He made his findings through an M Phil at Trinity, now published in his recent book. The most dramatic discovery he has made was what happened from 1920-23, when normal policing broke down and hidden sectarian tensions came to the surface, resulting in wide-scale religious intimidation and the murder of up to 200 Protestants. Protestants made up around 10% of the population in the south in 1911 but had dropped to only 3.2% in 2011 – despite a major influx of foreign national Protestants in recent years, he said. “I wouldn’t say in my own personal life that I suffered from discrimination, but I suffered more from not really belonging, being a bit of an outsider,” he said. He now lives in Canada, partly because the country “is not preoccupied by what religion you are”. The most surprising thing he found in his research was that “the key to the theme of separation and feeling an outsider was what happened in 1920-23, the War of Independence and the Civil War. In fact the 1920-23 mass exodus of Protestants is something which “generally speaking other historians haven’t really come up with”. He carried out his work with support from Prof Brian Walker from Queen’s University Belfast. “In 1911 there were about 300,000 native Irish Protestants in the 26 counties but there was a drop of 175,000 from 1911 to 2011, or about a 60% drop in the Protestant population. Ne Temere, the Catholic doctrine on mixed marriages, was seen by many as helping ensure the resulting children were brought up as Catholics. By contrast Catholic numbers “steadily increased” in the south in the same period and in Northern Ireland increased from about 35% of the population to 45% today. He accepts that doctrinal differences on birth control may have initially have been a factor – until the legalisation of contraception in the south began in 1980. His book includes graphic accounts of people who fled the country and later filed claims for compensation for lost property from the Irish state, based on records in Kew national library. But he also estimates that 100 to 200 Protestants were murdered. Much of the intimidation came from “the civil war IRA”, there being no police at the time. Although “the ice has melted” now, southern Protestants also came under pressure due to the Troubles. “During the hunger strikes there was real fear among the Protestant community of a backlash. The 1926 census of Northern Ireland found 24,000 people had come from the south in the previous 15 years, he said. • Buried Lives, The Protestants of Southern Ireland by Robin Bury (from The History Press Ireland). “Reach UK supports initiatives from all sections of the community and was invited to consider hosting a free one-week exhibition of artworks from Michael Stone’s ‘Milestones collection. Reach is a non-judgement organisation and volunteered space to host the art pieces and a free-to-attend opening evening in mid-July. REACK UK – to deliver the hopes of the PUL community , to help to understand their History and Culture to educate the young and the elderly to help our people move on to a brighter future for all the people of Northern Ireland to work with others with confidence of our future. REACH provides advice and assistance to those most in need in society, regardless of race, religion or creed. We tackle head on the issues of Drugs abuse, Loan Sharks, Suicide, Alcohol Dependency, Anti Social Activity, Housing and Welfare issues and Food Poverty . We also assist and provide skills training to access employment for those suffering the most financial hardship in our community. Reach UK has a reputation for integrity and supports a culture of lawfulness and the pursuit of justice and information retrieval for victims, survivors including ex combatants. In pursuit of a fair, balanced and equal society we have proactively engaged with politicians, PSNI, clergy, community groups and Republicans (including ex-prisoners), international students and academics from across Northern Ireland and the Republic of Ireland. In accordance with our Mission Statement, we support the integration of time served ex-prisoners into society in a meaningful, structured way which is to the benefit of all. Perhaps some 30,000 paramilitary members passed through the prison system with up to 200,000 families and friends directly affected, the issue reaches into all fabric of society. Having attended a number of civic society events where Republican paramilitaries where introduced as Artists and playwrights we would assume that working class Unionists are given the same equality to move on with their lives and engage in Arts, Music and Culture , particularly if this helps younger people not to travel the same troubled path as a previous generation. 3000 Volunteers Required – We Need YOU! The concept of an agreed Ireland, which originated from John Hume’s nationalism, but was subsequently taken and used by Sinn Fein, has met no equivalent emphasis on the benefits of an agreed Northern Ireland from unionism. Indeed, the fractured and disjointed nature of unionism has hindered the possibility of common ground when it comes to articulating what the Union, or being British, means. But is it possible to advocate the benefits of Britishness as a basis for an inclusive and dynamic Northern Ireland? And, if so, what might that look like? For a start, this would require moving from fixations about the national question which offers little chance for enabling a sense of Britishness that can be broader, more embracing and more dynamic to be heard. Rather, it would require promotion of the merits of Britishness in relation to shared institutions and culture. Even the most ardent of republicans would probably find it difficult to refute the value of the NHS, the BBC, or the FA Cup – all indicators of Britishness that have wider social resonance and attraction. Yet, by keeping expressions of identity and belonging locked onto fears and insecurities about national identity, wider progress has been stymied on many levels. Poor educational attainment levels on the Shankill Road should not be seen as a loyalist, or unionist, problem, but a social problem. High levels of unemployment, or poverty, in the Strabane area are not a republican, or nationalist, problem, but a social problem. Poor transport links between Derry and Belfast and a lack of railway infrastructure across Northern Ireland generally are not a republican, or unionist, problem, but a social one. And yet, all too often, the response to such issues is framed in relation to segregated national identity positions and interests. Routinely, one hears that Protestant schools are not performing as well as Catholic schools and so the reference-point for educational performance remains national division. No such conceptualisation seems to be used in the UK more generally. Poorly performing schools are seen as socially unacceptable and action is expected on that basis. The problem is considered to be a matter of collective responsibility and understood in terms of fairness, inclusivity and the common interest. Why has such an approach not found its way into Northern Ireland, some 20 years after the Good Friday Agreement? Much of the blame for this has to be laid at the door of unionist politics itself. From the outside, unionism looks static, defensive, reactive, inward-looking and obsessed with the past. Regardless of how one spins it, the perception is overwhelmingly negative. It is hard to see how such a politics can help make Northern Ireland a better place in the long-term. Unionism seems to lack an imagined future beyond the protectionism of now and, because of that, suggests no ambition. To put it another way: it has no aspirational imperative built into its language, or intentions. The richness of British cultural identity in terms of music, fashion, technology, comedy, art, literature and sport contrasts to the apparent rigidity of Northern Ireland’s Britishness, which is overwhelmingly expressed as a political conflict with republicanism without any ability to creatively neutralise impressions of republican progress except by hoping that demographics will come to the rescue. Strangely, unionism seems unable to reach out to those of Catholic background who remain satisfied with greater opportunities brought about by the peace process and who appear more comfortable with remaining in the UK as a result. Indeed, when unionism speaks, one gets the impression that nobody thinks there is any advantage in trying to engage such people through a sense of Britishness based on respect, tolerance, fairness, multiculturalism and diversity. It has always fascinated us as to why unionism is not able to counter Sinn Fein’s agenda on equality and rights by presenting a more compelling agenda of diversity and responsibility, both of which are conceived not in terms of “us and them”, but “all”. Diversity and responsibility contrast nicely with the republican agenda that stresses equality and rights. A new agenda that puts diversity and responsibility at its heart, if communicated effectively, would carry a captivating and dramatic sense of Britishness likely to resonate widely, but it needs to be adopted as a common position by all of unionism in order to do that. The tendency to talk in terms of “us and them”, rather than “all”, can be found in the constant recourse to being of a community, rather than a society. Many in Northern Ireland talk about their community and a community is, by its nature, distinctive between those who are of it and those who are not. The language of community is very different from the language of society and its constant usage has created a staleness and predictability in relation to political and everyday discourse. The language of society is a language of inclusivity, but the language of community is the language of exclusivity. It is the language of “us and them” rather than “all”. It is the language of local interest, rather than the common interest and invariably it does not respond well to those within who find how that community conducts or presents itself as objectionable. Arlene Foster’s recent move to engage with nationalist culture by making visits to a GAA final and an Irish school to discuss a language act has been strongly welcomed by the majority who participate in that culture and her presence at public events has challenged the enduring stereotype of unionist intransigence and disrespect. Apart from demonstrating confidence in relation to difference, her actions are representative of society precisely because she showed receptiveness towards others. Although Brexit complicates the picture, the general impression that emerges for most who visit Northern Ireland, whether nationalist, republican, unionist, loyalist, Catholic or Protestant, is the generosity, kindness and decency of those who live there and yet these qualities hardly transfer across Northern Ireland itself. When asked what being British means, many unionists and loyalists look to the monarchy, or the unreliability of government to inform their response. For them, this is a Britishness less representative of stoicism, humour, generosity, decency, fairness, or respect, let alone Dad’s Army, the Proms, the Sunday roast, or moaning about the weather, and more the reliability or unreliability of institutions. For them, identity arises through the structures of power that symbolise British endurance and history. Yet, understandable though this outlook is, it is not tuned towards the future, but the past. Its appeal is necessarily backward-looking and uses the rituals and commemorations of that past to assert feelings of preservation and order. However, identity is much more than national symbolism and is now being increasingly expressed as individual and minority attempts to challenge existing structures of power and conventions of order. Indeed, for many in Britain, it would appear that it is minority identities which now create new expectations about what one can be. Clearly, Brexit indicates the polarisation between an exclusive and inclusive sense of national identity, but a more complex dynamic about being British is playing out underneath the media headlines. It is at the everyday level of identity difference that a new sense of Britishness is taking shape. The challenges to being British have always informed what Britishness means and, indeed, opened the way for new possibilities. It is about time unionism spoke to this dynamic and advocated the confusion, difference, generosity and ambiguity of Britishness that makes it so fluid and complex. Unionism should start talking collectively on behalf of society, rather than community. It should demonstrate more the diversity and possibility of a Britishness that views problems in terms of a common interest. It should welcome difference and assert the need for a responsibility to communicate not just what Northern Ireland is, but what it can be. In short, it should develop and use the concept of an inclusive Britishness to argue the benefits of an agreed Northern Ireland. “The Northern Ireland Office (NIO) launched the UK Government’s consultation paper, “Addressing the Legacy of Northern Ireland’s Past” on Friday 11th May 2018. Not surprisingly it prompted a resumption of the political arguments about the form any process should take. Since the consultation paper is based primarily on the structures proposed in the Stormont House Agreement (SHA) of December 2014 it does not provide one with hope. The political architects of the SHA have for the past eighteen months been unable to agree on the formation of an Executive so the likelihood of their shifting beyond the toxicity of legacy is without doubt problematic. The removal of politicians and their narrow and constricted political agendas is vital if we are to develop a non-partisan and inclusive legacy process. Victims have been ruthlessly misled in terms of what can realistically be achieved in relation to justice. Recently, the Chief Constable accurately and honestly asserted that “judicial closure is increasingly unlikely in the majority of cases”. The Secretary of State referred to “four important things we must consider”, namely: meet the needs of victims and survivors; promote reconciliation; reflect broad political consensus and be balanced; and that the proposals must follow the Rule of Law. Given the extent of diversity existing in the victims and survivors sector it is difficult to envisage a process that will satisfy the assortment of demands, claim and entitlement. 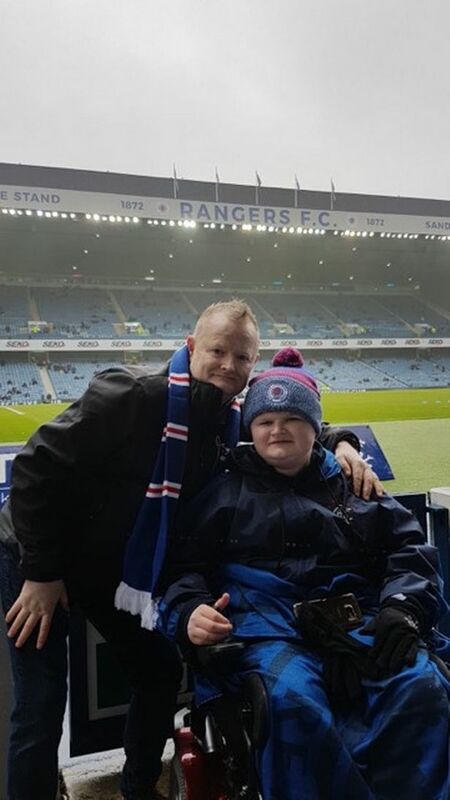 The architects of the SHA are working through the folly that there is a critical mass that can be catered for and one that is linked to parity of esteem and fair treatment. I have in the past questioned the viability of a prosecutorial process, the Historical Investigations Unit (HIU) and an information recovery process, the Independent Commission on Information Retrieval (ICIR) running in parallel. What incentive would anyone have to engage with the ICIR when they may well be the subject of a criminal investigation by the HIU? Barra McGrory implicitly concurs with this view when he asked, “The criminal process will significantly inhibit the information process and to what end?” He goes on to state, “very few convictions will result. People will be as unhappy as they are now and an opportunity to have a process which makes people truly accountable will be lost”. While recognising victims’ absolute right to pursue justice I would question whether resources would not be better spent on reparation enabling victims and survivors to avail of enhanced services to cater for their physical and mental wellbeing as well as pensions. A female contributor to the News Letter, who has suffered dreadfully as a consequence of the conflict, “believes the money spent on legacy investigations could be better spent elsewhere”. Adding, “I think the money could be used to help victims rather than chasing dreams.” Such a succinct and important voice seems to be unheard or factored into the SHA. It is arguable whether any legacy process will promote reconciliation; indeed it is just as likely to exacerbate enmity, if not reignite conflict. The recent conflict was fuelled by events that took place years, decades and even centuries ago. Are we to expose the post-Good Friday generation to daily accounts of the injustices and atrocities that we inflicted on one another? We, in Northern Ireland, are in effect living with an unresolved conflict that has to be managed on a daily basis. The two primary ingredients that gave rise to violent conflict in the past still remain; a contested constitution and endemic sectarianism. Thankfully, at present the conflict is largely non-violent. However, given the current uncertainty with the political institutions no longer functioning, the divisions over Brexit and calls for border polls do we really need a legacy process to add another contentious layer on top of all that? While grateful for the relative peace that we now enjoy it is wise not to be complacent. It is difficult to envisage broad political consensus given that twenty years on from the GFA even the definition of a victim is still vigorously contested. The British government and Unionists will always defend the actions of the state agencies and Sinn Féin will continue to provide justification for the IRA’s “armed struggle”. It is impossible for those two narratives to converge not only with each other but also with the needs of peace-building. These are lines in the sand that do not cater for wholesome and important shifts in how we build an inclusive and tolerant society. Loyalists, who were significant protagonists in the conflict, were not consulted during the negotiations that led to these proposed legacy institutions. Did the Unionist parties, in particular, believe that they would agree all this architecture and loyalists would simply turn up? I think not. With no proportionate political empathy there is discernible concern within loyalism that they will become scapegoats as they were during the long and unpalatable conflict. The past has effectively become the new battleground for continuation of the conflict. The Sinn Féin narrative in relation to collusion is a key element of their justification of the “armed struggle”. While one wouldbe surprised if a degree of collusion did not occur given the similar objectives of both the security services and loyalists, it is hard to believe that it was on the scale suggested by republicans. Sinn Féin does not need to prove collusion they merely need to claim it, as doing so silences the memory of republican atrocities. If collusion was as suggested, then it seems peculiar that the republican leadership and key operatives survived the conflict. A mural in West Belfast reads “Collusion is not an Illusion”. Loyalists would argue that Sinn Féin have created an “illusion of collusion” within the nationalist community. This was borne out by the Police Ombudsman when he indicated that if the results of his investigations did not concur with the already held collusion narrative then they were dismissed. The central goal of any peace process has to be to deliver mutual respect, parity of esteem and a post-conflict society. The political machinations around victims, claims that it is for reconciliation but does not suggest or explain how. The reality is simple and as the SHA shows the central aim is to remain in a proxy war and thus deny the emergence of a truly shared and progressive society. Keep a fire under the victims debate is part of the ongoing repetition of the arguments of legitimacy that were central to the conflict. Yesterday evening our group, in conjunction with Dalaradia (www.dalaradia.co.uk) launched “Milestones 2018” – An Exhibition of works by East Belfast Artists Michael and Karan Stone. The exhibition is in aid of Muscular Dystrophy UK. The launch was attended by representatives of the Northern Ireland Prison Service, our patron Dr Ian Adamson and sponsored by the Loyalist Conflict Museum, Andy Tyrie Interpretive Centre and the Union Jack Shop, Newtownards Road. The husband and wife team were presented with copies of the Bible in Scots, produced by the Ullans Academy. In the last they have exhibited in The John Hewitt Belfast, Malone House and the Ulster Museum. Michael has also exhibited with the PAF at The Long Gallery, Stormont, Belfast City Hall, Belfast Waterfront, Londonderry Gallery and Crumlin Road Gaol. The works have proved popular amongst established and new collectors who appreciate their collaborative styles of subject, colour, texture and originality. This retrospective of their work entitled Milestones encompasses their past and present experiences in life with humour and their universal belief that “Art transcends politics”. The art is open to the public between 10-5 today and tomorrow. Everyone is most welcome. REACH is proud to be hosting Roy Stewarts “Trench Art” exhibition at our offices at 240 Newtownards Road, Belfast. It marks the 102nd Anniversary of the Battle of the Somme. The Art has been open to the public from Thursday 28th June with Thursday 5th July being the last day it will be on display. Everyone is most welcome to view the art. Yesterday evening our group unveiled Dalaradias new mural in Rathcoole, Newtownabbey. A welcome change to the previous mural which was quite dated and had somewhat of a playful approach and not your conventional style of Paramilitary Mural. Murals play an important role within our communities. Not only do they offer great artistry, they also stand as historical evidence. Northern Ireland has around 2,000 murals, most of which contain political themes or references to the Troubles. Dalaradia understand the importance of their murals and have worked to preserve and maintain them. Many murals depict gunmen, not to cause fear, not marking territory, not implying its the the present or whats to come in the future, but a reminder of what once was. Thanks to their artistic merit and historical value, murals have become an important tourist attraction in post-Troubles Northern Ireland. Many thanks to members of the public for attending and to the various group representatives including the Rathcoole Somme Society, Newtownabbey Arts & Cultural Network and Thomas Hogg of the DUP. A big thanks to Councillor Julie-Anne Corr-Johnston of the PUP for opening the mural. Residents in the area received leaflets explaining the mural and its origins. Below is its content. Dalaradia was one of the Ancient Ulster Kingdoms, sitting in the area now occupied by the Mid and East Antrim Council, it was bordered in the North by Dalriada and in the South by Dal Faitach. In 1967 our borough was to be named Dalriada but following a challenge in court was renamed Newtownabbey. The first mention of Belfast is in 667 when the tribes of Dalaradia in Co Antrim and those in Dal Faitach, Co Down fought for the title “Fir Uladh” – True Men Of Ulster. The Earldom of Ulster was founded in Carrickfergus Castle in the territory of Dalaradia and St Patricks first noble convert was Bronagh, daughter of the Dalaradian King , Milchu, also St Comgal a Dalaradian warrior monk founded Bangor Abbey which became the Centre of European Christianity. The outline of Old Ulster – “ Ulidia / Uladh “, the counties of Antrim and Down is highlighted with Dalaradias Lough Neagh behind. Also shown is the field of Crewe Hill, with the Ancient Crowning Stone of Ulster Kings. This is one of Ulsters most historical sites, where huge battles were fought between the Ulster Pretani and the O Niell Gaels , the literal translation of the word Gael meaning “ Invader / Stranger “. A generic image of an Ulster Warrior overlooks the Kingdom. Ulsters most potent symbol, the Red Hand, has many legends attached to it, from King Hermon cutting off his hand and throwing it ashore to claim the land, to stories of the Right Hand of God and older Legends telling of the Blood soaked hands of the Red Brach Knights and Conall Cernach putting a blood stained image on his standard as he avenged Cu Chulainn s death. Yesterday evening our group had the pleasure of a book review from Dr Ian Adamson from his recent release – A Journey to the Immortal Isles, Immram Brain maic Febail – the Voyage of Bran, Son of Febal. The event took place at the White House, a location that perfectly reflected on the story given its history. The White House, which has recently been restored, has nestled on the Northern Shore of Belfast Lough for over 400 years. It tells both the story of the Williamite and Jacobite Wars from a European perspective and the story of this historic building’s past right up to the present day. The building itself dates back to the 1500s but the most famous story associated with it is in 1690 when William of Orange landed at Carrickfergus on the 14th June. William’s army landed at the ancient quay near the White House and William rode from Carrickfergus where he met with General Schomberg and other people of note. Unfortunately it fell into disrepair in the 1800s then later used as a gospel hall until 1997. It has now been restored and preserved and has been transformed into a beautiful and informative visitor centre. Through a range of colourful displays including artefacts, images and interactives, you can explore both the past and present of this unique historical site. Text of presentation by Cllr John Kyle, 14th April 2018, Fitzroy Presbyterian Church, Belfast. I would like to thank Professor John Brewer and the Senator George Mitchell Institute at Queens for the opportunity to contribute to these exchanges. At a time when the political discourse has become increasingly polarised the need for reflective debate has rarely been greater. Sinn Fein have made reconciliation one of their buzz words. “Republicans seek authentic reconciliation with Unionism. A new phase of the peace process based on reconciliation and healing must be our future.” Declan again, a couple of weeks ago. I completely agree that reconciliation and healing must be our future. I am old enough to know how bad it was and how far we have come, and I know we are stalled, badly. Frankly reconciliation is receding into the far distance. There are major obstacles in the way, first and foremost sectarianism, deeply entrenched and passed from generation to generation. So how could anti-sectarianism be wrong? Anti-sectarianism is wrong when it is perceived as hypocrisy. When someone whom you consider to be sectarian accuses you of being sectarian-and this is the experience of Unionists and Loyalists when listening to Sinn Fein.Whether you agree with me or not, this is the perception of many Unionists and Loyalists. *The refusal by a Councillor to condemn the Enniskillen bombing while proposing a motion in Enniskillen Council condemning sectarianism. * Calling for victims’ rights while naming a children’s playpark after a convicted terrorist. * Demanding respect and equality for Irish identity while banning British Armed Forces from school recruitment events and continuing to talk of the ‘British occupation’. I am British and I am certainly not occupying Northern Ireland. My family have lived here for generations and this is home to me, my children and grandchildren. *Sinn Fein leaders making speeches about ‘Unionist death squads’ while in the same speech eulogising IRA volunteers who bombed and murdered innocent men, women and children. *Demanding truth and justice for all victims while focusing exclusively on Republican and Nationalist victims and offering nothing to victims of IRA violence. If all victims have a right to truth, Sinn Fein’s silence is deafening regarding La Mon, Claudy, Kingsmill, Enniskillen, Birmingham, Hyde Park and many, many others. Before you come back at me with counter arguments and justifications, or John Brewer accuses me of a severe case of whataboutery let me say that sectarianism is endemic in the Unionist community as well. I know that I can react in a sectarian way if the right buttons are pushed. Unionists need to begin the painful task of facing up to our sectarianism, our failings in the past, our need to change, our culpability for thirty years of conflict, our responsibility to create a just and fair society. Too often Unionists have been acquiescent towards sectarianism if not actively complicit. We have failed to recognise its corrosive and egregious effects. Some Unionist politicians have treated Republicans with distain,if not contempt. That is wrong and I for one do not agree with it. However, from our perspective what we experience is Sinn Fein claiming exclusive right to the moral high ground, virtue signalling about how blameless they are in regard to rights, equality, tolerance and respect-if only those Unionist bigots would stop being sectarian reconciliation would be possible. To stamp out sectarianism it is imperative we begin with our own tribe, or to use the biblical analogy, take the plank out of our own eye before taking the speck out of our neighbour’s. Self-critical evaluation is necessary, shows integrity, gives moral authority, opens significant opportunities for reconciliation, makes people more willing to engage with you and facilitates conflict transformation. Reconciliation offers enormous benefit to us all, but to achieve it we need to come down from the moral high ground. True reconciliation will involve finding level ground on which to interact and be reconciled. The Unionist community has experienced massive suffering, trauma and injustice at the hands of Republicans who show no perceptible evidence of contrition, repentance or ofasking for forgiveness. Unionists simply do not trust Republicans. Republicans may well say the same-that underlines the magnitude of the task facing us. The best way to overcome sectarianism is through respectful cooperation, working together to achieve economic and social prosperity. In the past twenty years we have had periods of relative success, glimpses of what might be achieved. But we need to do better. We can do better, but not as ourselves alone. Neither Sinn Fein, successful as you have been, nor the DUP, dominant as they are in Unionism, can do it alone. We can only do better by working together. As the GFA stated ‘The tragedies of the past have left a deep and profoundly regrettable legacy of suffering. We acknowledge the substantial differences between our continuing and equally legitimate political aspirations. However, we will continue to strive in every practical way towards reconciliation and rapprochement within the framework of democratic and agreed arrangements.’Renewing that commitment would be a start. Anti-sectarianism is to be welcomed and embraced, but the long road to reconciliation begins with the painful process of self-examination and confronting one’s own sectarian attitudes. The prize, as Senator George Mitchell so eloquently spoke of recently, is peace. Happy birthday to Queen Elizabeth II who turns 92-years-old today. Long may she reign over us. “The Good Friday Agreement was created in a spirit of accommodation and its promise was a more inclusive Northern Ireland. There would have been no Agreement without the involvement of loyalists. However, it is time to recommit to the creation of a Northern Ireland that enables all to realise their potential and aspirations. Any community left behind in that ambition represents a failure not only for the peace process, but for Northern Ireland as a whole. For too long we have been berated for our past and not able to imagine a better future. We must challenge that outlook by no longer being apologists for conflict but advocates for change and working to create a society that is at ease with itself in its diversity and difference. It was made clear at the time of the CLMC 1994 ceasefire statement that ‘abject and true remorse’ existed for suffering inflicted during the conflict and that remains the case today. However, no-one should ever be excluded from playing a constructive role in the future because of past actions. We therefore seek to fulfil the commitments we made in 1994 by continuing a process of transformation. We draw attention to the fact that even in the context of republican reliance on divisive identity-politics we continue to maintain a commitment to the peace process. We are fully committed to participation in such a process and will approach it with honesty, integrity and sensitivity. We also recognise the importance of a legacy process designed to help Northern Ireland confront the past and from that experience build a society of possibility and hope. We have made this clear many times and have indeed contributed to previous work on dealing with the past. We fully support the rule of law in all areas of life and emphatically condemn all forms of criminal activity. Individuals who use criminality to serve their own interests at the expense of loyalist communities are an affront to the true principles of loyalism. We reject and repudiate as unacceptable and contrary to loyalist principles any criminal action claimed to have been undertaken in our name or attributed to any individual claiming membership of one of our organisations. We further declare that any engagement in criminal acts by any individuals within our organisations will be regarded as placing those persons outside the memberships. This has been collectively agreed. We cannot allow criminals to hinder transformation and the ground on which such people stand is now shrinking. Loyalists must have ownership and control of their own future. Now is the time for a renewed loyalism, with a new impetus, to meet the challenges ahead. We want to see a better future for all in Northern Ireland and where the residual effects of conflict are recognised and addressed in a reparative manner. We must shape our own destiny, and with the co-operation of others, ensure loyalist communities are at the centre of Northern Ireland’s peace and political transformation. On Saturday morning our group attended the Good Relations Conference & Awards Ceremony at the Crusaders Social Club, Shore Road. The event was to celebrate and recognise the efforts and participation of various groups including Old Comrades, Baron Hall, White City, Alexandra Church Hall, Hubb Ladies Group (The Millies) and the Grave Diggers. Various group attained OCN accredited awards for their work in a cross-examination of Northern Irelands rich cultural and historical tapestry. The morning started with registration with tea/coffee. A warm welcome from the HUBB chair Kerry Johnston opened the morning discussions followed by David O Briens entertaining “Raised on songs and Stories”. Fergus Whelan, a Historian and Author whose main area of interest is Radical Protestantism in Eighteenth Century Ireland was up next. This was followed by round the table discussions and feedback from the audience. Dr Ian Adamson OBE then took the floor for a talk on “Why are they called the British Isles – Pretani Associates”. Afterward there was a digital Evaluation and Quizdom then finally closing remarks from the HUBB manager Jim Crothers. A very enjoyable day for our members in attendance. “Sinn Fein has been accused of ignoring the results of a consultation that suggested there was “very little appetite for Irish language signage” on buses in Co Londonderry. The consultation, which was carried out by Translink in the spring and summer of 2017, proposed bilingual English and Irish destination screens onboard Ulsterbus vehicles in the nationalist west bank of Derry. The project was piloted on the Slievemore route, with a plan to roll it out to other areas of the city if it successful. Bilingual signs are already in operation on buses in west Belfast. But according to response to a Freedom of Information request by DUP MP Gregory Campbell, almost three-quarters (74%) of the 9,421 people who completed the survey were against the idea. Last month talks to restore Stormont broke down due to disagreements between the DUP and Sinn Fein over legislation for the Irish language. Mr Campbell – who was barred from speaking in the Assembly for a day in 2014 after making fun of the Irish language – called on Sinn Fein to explain why it had “ignored” the results of the consultation. He said: “Around this time last year, Sinn Fein in Londonderry claimed they had been lobbying Translink since February 2015 for a consultation about bilingual destination signage on scheduled Ulsterbus service vehicles in the area. The results were forwarded to the Department for Infrastructure late last year. This survey, requested by Sinn Fein, has demonstrated that there is very little appetite for Irish language signage even when Sinn Fein promotes it. Translink said that given the consultation results, it currently had “no plans” to introduce bilingual destination screens in Derry. Sinn Fein insisted there was “significant support for bilingual signs”. A big thank you to Michael Stone and his partner Karen for creating and sharing a recent piece of art embracing the REACH Projects goal in moving forward. “This kaleidoscopic work embraces East Belfast’s’ REACH philosophy of moving forward from the tragic past period of political & social upheaval – A strength and unity within the working classes of all cultures & traditions – Supporting the aspirational youth of the East with creative ability to excel in their endeavors in career, arts, sport or literature. 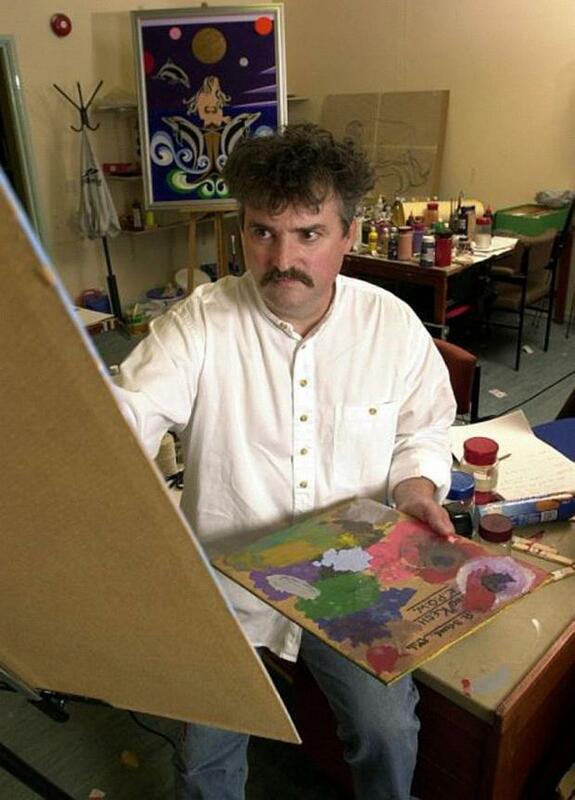 In the past he spent time each week teaching art to teenagers in deprived areas of East Belfast, something he got great satisfaction from. Quoted by the Guardian in 2001. “Sure, I’m like some Rambo character to them when they first meet me and they ask questions about what I did. But I just tell them it isn’t big and clever to kill people. Then we get down to work, making things and doing things. We the undersigned desire a transparent and inclusive debate concerning rights, truth, equality and civil liberties and in so doing challenge assumptions that such values are not embedded within civic unionism, pluralism and other identities. We are motivated by the desire to build a society for the betterment of everyone. This cannot happen when such a commitment is perceived as being vested in one community or political persuasion. We find it frustrating and puzzling that civic unionism, pluralists and other forms of civic leadership have been rendered invisible in many debates focused on rights and responsibilities. It has reduced our capacity to be heard and undermines the power of reconciliation to shift society away from stale and limiting notions of identity. We have worked for peace and reconciliation and in so doing have had open and transparent engagement with civic nationalism. That has included recognition of the need for equality and most importantly the urgent need for polarised communities in Northern Ireland to reconcile and deal with barriers to a better future. To achieve this requires the recognition that withholding truth presents as such. This is not unique to any institution or section within our society but where it is a selective process, healing a pernicious and destabilising past remains as a challenge to us all. Civic unionism, and other identities are not resistant to claims of equality and full citizenship. These identities are central to the development of an authentically fair and tolerant society. We wish to unite, not divide, and in encouraging transparency we call upon civic nationalism and others to engage with us in frank and fulsome debates about the many values and beliefs that are commonly shared and are vital to transforming the issues that we face. 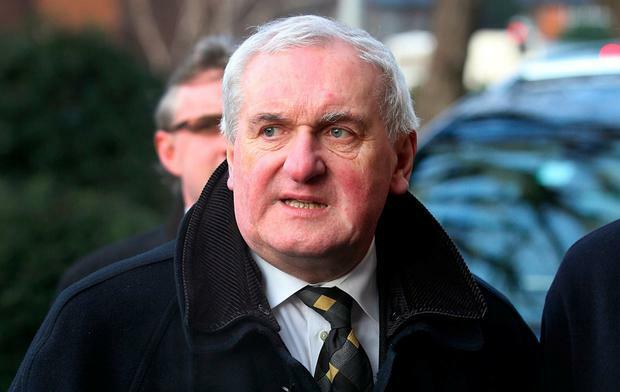 Former Taoiseach Bertie Ahern has poured cold water on Sinn Féin demands for a stand-alone Irish language act, warning it has to be conscious of the feelings of unionists. 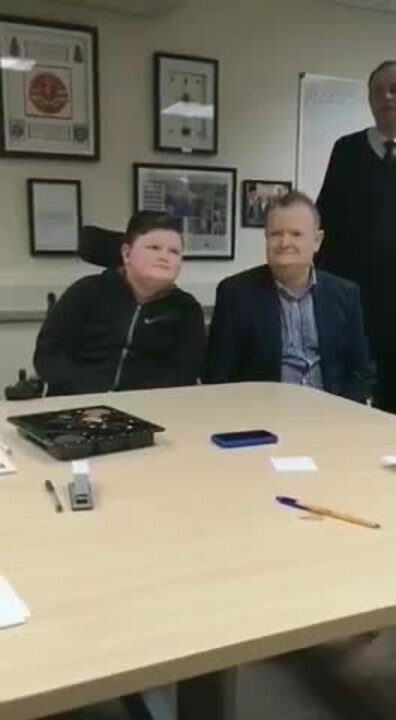 “If anybody seriously believes that you’re going to convince the loyalist people in the Shankill that they should have Irish signs – they’ll be waiting,” he told RTÉ’s ‘Claire Byrne Live’ last night. He said the act “can’t be seen as a victory and we’re going to shove it down their (unionists) throats”. Meanwhile, Taoiseach Leo Varadkar and Tánaiste Simon Coveney met new Sinn Féin president Mary Lou McDonald and her deputy, Michelle O’Neill, at Government Buildings last night. They spoke for around 90 minutes and agreed on their united commitment to the Good Friday Agreement. Both sides also agreed any move towards direct rule from Westminster would be highly regressive and something Dublin could not countenance. Mr Varadkar spoke to British Prime Minister Theresa May on the phone following the meeting. He reiterated Dublin’s “firm position” that the Good Friday Agreement must be implemented in full, and that the Irish Government does not want to see the introduction of direct rule in Northern Ireland. A Downing Street spokesperson last night said Mrs May told Mr Varadkar that she believed “there was scope for agreement” and reiterated that it was still her government’s priority to get devolution up and running again. Both leaders agreed to remain in close contact. Earlier, Mr Coveney had warned that the re-imposition of direct rule would “rip the heart” from the Good Friday Agreement. Mr Coveney is travelling to New York and Washington this afternoon for a series of meetings with the Trump administration. He is due to give an address at Columbia University on Brexit and give the keynote speech on the Good Friday Agreement at a special event in New York entitled Ireland’s ’20 Years of Peace’. Mr Ahern also took a pop at Mrs May last night. He said she has been preoccupied with addressing the various battles within her own party which has distracted her from her responsibilities in Northern Ireland. “I think Theresa May has not given enough time to Northern Ireland as she’s trying to keep about five sides of her own cabinet together. The group would like to offer our deepest sympathy to the Anderson family on the sudden passing of our friend and comrade Jim Anderson. We owe our freedom to those men and women who have served their country and its interests in time of need. Not for glory, nor riches, but for their people. “What has happened to the Alliance Party, which used to pride itself on its independence and its commitment to democratic values? Here are just three recent disturbing examples of how far it has fallen. First, in September the UUP’s Jeff Dudgeon, who had fought for a permanent memorial in the grounds of City Hall to the 1,000 victims of the Blitz, admitted defeat. Since Nazi bombs had killed Catholics and Protestants alike, it didn’t seem a contentious issue. It was, however, to Sinn Fein – which is ambivalent about the Second World War because the IRA supported Germany. Cunningly, it linked the Dudgeon proposal to its request for a statue of Belfast woman Winifred Carney, who was with her boss James Connolly in Dubin throughout the Easter Rising. Alliance endorsed the proposals being dealt with collectively, thus scuppering any agreement. Mr Dudgeon was disappointed but not surprised. “The Alliance Party, has, yet again, taken sides with Sinn Fein and turned the statues into a contentious issue,” he said. Michael Long, leader of the Alliance on the council, accused him of “showing his prejudice in his comments about our party’s voting habits”. Having “actually done some research of figures rather than assumptions”, he said, the party had found that in terms of recorded votes over the past two or three years, “half the time we voted with Sinn Fein and half the time we voted with the DUP”. But that was wholly untrue, according to DUP councillor John Hussey, who checked the voting record of the previous two years and found Alliance had voted 22 times with Sinn Fein against the DUP and only 8 times the other way around. Then there was the amendment to standing order No. 30, which was proposed in December in the strategic policy and resources committee by Sinn Fein’s Charlene O’Hara and seconded by Alliance’s Sian O’Neill. “A Member shall not impute motives or use offensive expression in reference to any person or section of society, including any such expression that shows contempt in relation to their race, ethnicity, nationality, gender, gender identity, sexual orientation, religious belief, age or disability,” it said. As Mr Dudgeon – yes, him again – pointed out, this would, for instance, preclude anyone from being rude about the motives of bankers for closing bank branches. It’s a charter for people who want to stifle free speech. At present Sinn Fein and Alliance are propelling it through the system. Then last week we had the drama of Mr Long’s wife Naomi, leader of Alliance, Barry McElduff, a brilliant cartoon by Brian John Spencer and tweets by the DUP’s Christopher Stalford and the UUP’s Doug Beattie. Mr Spencer, who was appalled by the hurt done to the Kingsmill victims and the hypocrisy of Sinn Fein in continuing to lecture others about its “red lines” on various issues, produced his magnificent, savage cartoon depicting the Kingsmill van with 10 lines of blood leading straight to Gerry Adams bellowing about equality. Among the thousands who retweeted it were MLAs Stalford and Beattie, both of whom were pompously ticked off by Mrs Long for engaging in “irresponsible, inflammatory and insulting behaviour which is unbecoming of their role”. The Alliance and Sinn Fein Twitter mobs joined in, and because of a request from a Kingsmill relative, both politicians deleted their tweet. Yet other relatives and other victims welcomed the cartoon. Alliance has become the party of identity politics and virtue signalling and Sinn Fein has taken full advantage of its naivety to use its support to help conquer Belfast City Council for republican ends. Shinners may eulogise murderers, boycott Westminster and bring down Stormont, but hey, to Alliance, they’re preferable to dinosaurs who disapprove of gay marriage and think free speech matters, even if it hurts people’s feelings. We call for Sinn Fein MP Barry McElduffs resignation after posting an absolutely outrages video mocking the Kingsmill Massacre on its 42nd anniversary. Kingsmill is a well-known brand of bread in Northern Ireland. It shares a name with the south Armagh village that witnessed one of the most notorious incidents of the Troubles in 1976 when IRA gunmen stopped a van carrying Protestant textile workers on their way home where they were lined up at the side of the road and shot. Are we to believe this was purely coincidence and not intentional? Please do not insult our intelligence Mr McElduff, stand down and hang your head in shame. Dalaradia were delighted to host a discussion workshop on Ulster Scots, Ulster Gaelic and Ullans language, culture and traditions at the Reach UK office. The event was chaired by Dalaradia Patron Dr Ian Adamson OBE with Helen Brooker of Pretani Associates. Guest speaker was the Professor Emeritus Wesley Hutchinson, Honorary President of Europe’s largest Irish Affairs body, the Societe Francaise d’Etude Irlandaise. Professor Hutchinson is the senior academic of Irish affairs at the world renowned Sorbonne Nouvelle University in Paris. His global perspective on minority languages was most helpful in celebrating culture without allowing it to be used as a political weapon. His work with Dalaradia and Reach UK will feature in his forth coming book examining the Ulster Scots people and space throughout history. A Carrick man has spoken of his involvement in a project assisting staff at an orphanage in Africa and the personal development he experienced. 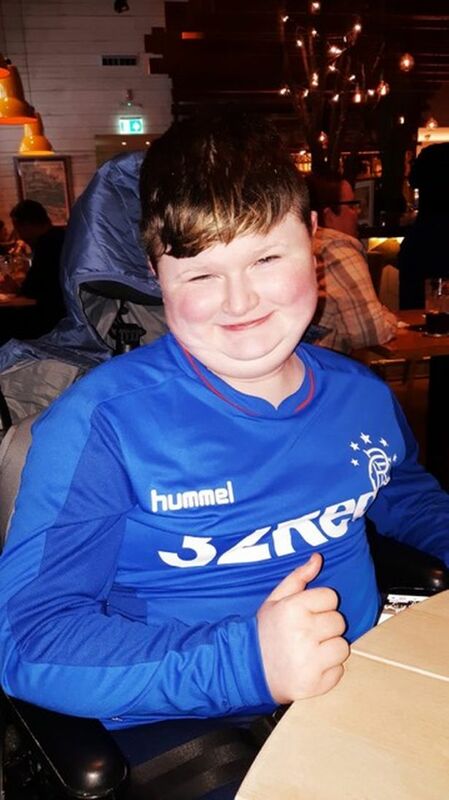 Robert (Bertie) McWilliams has returned from Tanzania after spending a month there as part of a Loyalist Communities Council (LCC) delegation. Bertie was one of eight volunteers from across Northern Ireland who travelled to the east African country under the stewardship of project leader, Bob Thompson. The group spent four weeks working with the Kidzcare orphanage and schools in Tanzania from September 17. The purpose of the project was to promote team building within different loyalist communities, offer international work experience and personal development and to expose the volunteers to different cultures, religions and challenges, while at the same time benefitting the children of the orphanage. The aim was to make a difference both at home and in Africa. Ahead of their departure, Bertie was unsure how his special diabetic dietary requirements were going to be met in Africa. He also questioned his participation in the project as he knew he would miss his six-year-old daughter a lot. Bertie, who works as a window fitter/joiner, was able to use his skills in Africa to carry out maintenance at the orphanage. Commenting on the duties he performed in Tanzania and his interaction with the orphans, the east Antrim man said: “Straight away we got stuck into general maintenance work around the orphanage and whilst doing that we met the beautiful kids that stayed there. 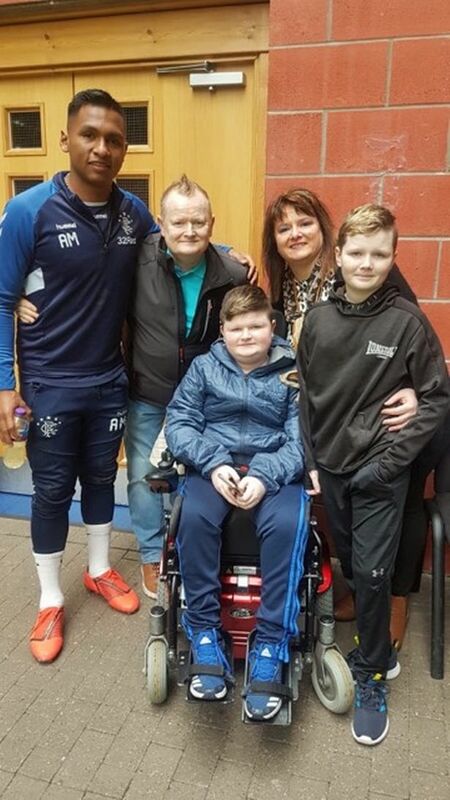 “All our hearts were touched as these kids really have nothing and they are the most happy and friendly wee kids I have ever met. We soon learned that these kids are very much the lucky ones compared to others, as they have a safe life and love at the orphanage and without the staff they would be desolate and abandoned. Although most of their time was spent carrying out work around the orphanage, the LCC volunteers were able to experience African culture on a rare day off. Bertie explained: “We spent our day off by having a beach day with the kids. On his return, Bertie, who said he would be keen to volunteer in Africa again, said: “I learned to respect a lot of things back home, such as hot water, food and family. Everyone realised just how well off we are back home and none of us will take things for granted again. Bertie would like to thank everyone for their support, the sponsors, the LCC and its chairman David Campbell for the idea and Bob Thompson the project leader for putting it all together. Finally the LCC Tanzania Project challenge is over. All arrived home safe and sound yesterday evening and with the exception of a few mosquito bites everyone is in good health and condition. Berty, a member of Dalaradia/REACH, remarked “the trip started with three groups of strangers and ended with one group of family”. The month away raised some challenges but as each challenge was overcome the bond of friendship grew stronger. The children of the orphanage touched their hearts and have shaped their lives for the future. This is something we hope to build on for the future helping less fortune people. One very important aspect of motivation is the willingness to stop and to look at things that no one else has bothered to look at. Most human beings have an almost infinite capacity for taking things for granted. Reflect upon your present blessings of which every man has many – not on your past misfortunes, of which all men have some. Well done to everyone involved, you are a credit to your community. On 12th May 2016 the Loyalist Communities Council launched a Flags Protocol. Its aim, to prevent our national emblems being left on display in a dilapidated state and asking that steps were taken to prevent this occurring. REACH, as part of the LCC, ask that, as agreed, all remaining flags be taken down on or as soon as possible after Ulster Day – 28th September 2017. Flags and emblems are highly potent symbols of community allegiances and are important demonstrators of our Loyalist and Unionist heritage and culture. Please treat them as such – many thanks. The Loyalist grouping known as the Red Hand Commando (RHC) has officially requested to be removed from the list of proscribed organisations. The request was made in London and will be looked at by the Home Secretary Amber Rudd. At the time of writing it is not known how long it will take for a decision to be made. Reaction to the request has been somewhat mixed. The application has been made under Section 4 of the Terrorism Act (2000) which allows for members of a banned group to contact the government to request deproscription without themselves facing the threat of being charged with membership. The theory being that deproscription could help an organisation move forward towards integration and obviously away from previous association with violence. The initiative is being supported by the Loyalist Communities Council (LCC), the umbrella organisation set up by Tony Blair’s former chief of staff Jonathan Powell to steer paramilitaries away from criminality, and the LCC’s chairman, David Campbell, said that Mr Powell supported the application to the Home Secretary. Mr Campbell argued that in retaining the paramilitary name, rather than disbanding, it would be harder for dissidents to seek to revive it at a future point. There has always been a fear that ‘dissident’ Loyalists could use the name of the three main Loyalist paramilitary organisations as a cover for criminal activity. The words obviously hit a nerve with Gerry Kelly of Sinn Fein as he described the move as ‘abhorrent’. When it was pointed out to him that his actions and the actions of his former IRA colleagues went beyond abhorrent into mass sectarian genocide and that it was hypocritical of him to even comment on this move he decided to skulk off elsewhere. But there was widespread concern amongst victims groups that, in not dealing with the needs of victims and their families first, this type of move could be seen as too soon and too upsetting. Others welcomed the move and saw it as progressive and potentially ground-breaking. Then there is the “politics” of it all and the repercussions should such a decision be given a positive outcome. Some seasoned political commentators queried what sane government would give the go ahead to legalise a former paramilitary group? What are the benefits to a Tory government when the media exposes Loyalist criminality (or what purports to be Loyalist criminality)? This idea could prove toxic to a government with a slim majority. In turn would those groupings intent on criminality latch on to “legal” groupings to ensure a type of “cover” or veneer of respectability? And the government will worry about the negative headlines around this. Then again the U.K. Government might just offer the suggestion that all this is pointless and groupings should leave the stage voluntarily. Which in turn creates a vacuum to be filled by criminal elements masquerading as loyalists. It is a complex issue indeed. REACH are facilitating a history course commencing 7pm Wednesday 6th September 2017 at REACH offices,240 Newtownards Road, Belfast to Bodenstown. 6 Workshops, 2 site visits (Belfast and Saintfield) plus a 2 day residential in Wicklow. If you are interested please contact our office on 02890 457657 or email reachni3@outlook.com. The course is FREE to attend.